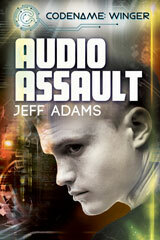 I’ve become a huge fan of audiobooks. The more I listen, the more I want them. There are some series that I can’t imagine reading–case in point TJ Klune’s Green Creek series. After Kirt Graves read Wolfsong to me, I couldn’t imagine Ravensong any other way. I waited months after the ebook/paperback release to get the audio (and yes, it was worth the wait). I still read print books and love them, but there’s some extra magic when a great narrator brings the words to life. As an author, I’m excited when I’m able to bring a self-published work out in audio or the publisher I’m working with does it. I love listening to the final production too. I’ve had four books come out in audio and I’ve listened to every word. Each time was amazing and, even though the words were mine, I sometimes felt like I experienced the story for the first time. 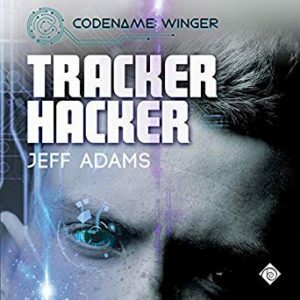 I’m particularly happy this month because the first installment in the Codename: Winger series, Tracker Hacker, has dropped in audio (get it on Audible | Amazon | iTunes). John Solo does an incredible job voicing high school student/secret agent Theo Reese. It’s been more than two years since I finished writing Tracker Hacker, so I’ve got some distance from the story (although I’ve had to refer back to it occasionally as I’ve continued writing the series). Listening to it a couple of weeks back thrilled me. John captured the emotion and action of the story perfectly and hearing Theo, Eddie, Mitch, Theo’s parents, John, the bad guys and everyone else made me ridiculously happy. If you want to hear more about Tracker Hacker on audio and John Solo’s career as a narrator and audiobook producer, check out episode 168 of the Big Gay Fiction Podcast because I interview him. I got ambitious with audio this month as well. Since I’d written the free short A Very Winger Christmas, I decided to give a go at reading it myself and releasing free audio to go with the ebook. I’ve gained audio experience over the past three years of co-hosting and producing the Big Gay Fiction Podcast. What I’m not in any way is a voice actor like John, Kirt and the other narrators I love so much. Also, when doing the podcast I don’t necessarily have to articulate every word right since it’s a very conversational show between me and Will. For the audiobook, however, I wanted the reading to be as clear as possible. It’s not easy work at all. I’ve always held audiobook narrators in high esteem since it can take, on average, 4-6 hours of work to generate an hour of finished audio. That’s no joke and I got a taste of why over the days that I worked on the 62-minute audio version of Winger Christmas. It was a worthwhile experience to offer a free audio alongside the free ebook, but it’s not something I’ll likely endeavor again. 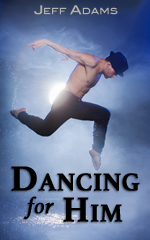 You can check out either version of the short story here.